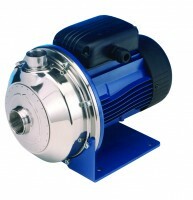 Polypump Ltd offer the complete “C” range - Varying applications domestic and industrial. Single-impeller (CEA) and dual-impeller (CA) models available. Available on request “V” version with FPM seals for temperature up to 110°C and “N” version constructed in AISI 316 stainless steel.